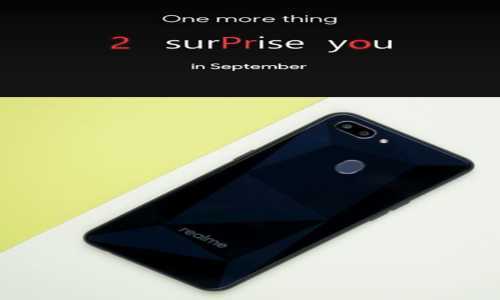 The Realme brand's next smartphone will be Realme 2 Pro, which will be launched on September 27. Smartphone teaser video has been released before being officially launched. The title of this teaser video is "Proud to be Young". This video confirms the Waterdrop Design and Vertical Dual Rear Camera Setup in Reality 2 Pro. The video indicates more power and better performance than the recently launched Realme 2. Apart from this, the game chewing experience is promising. The new chipset is expected to be used in Realme 2 Pro, which will give a better performance than the Snapdragon 450 processor Realy 2. Teaser video is one minute. Waterproof has been given in Realme 2 Pro, which we have got in the handset like Oppo A7X and Vivo V11 Pro. It is known that Realme 2 has a common look, as we had seen the iPhone X last year. Bezal is slim and the lower border is slim compared to Realm 2. In addition to the front panel, there is also a glimpse of Realme 2 Pro's rear in the video. The diamond cut design that has become the identity of the company on the rear panel which is visible in the video is not. This design is part of Realme 1 and Realme 2. It has a glass panel which is equipped with the branding of the curved edge and realm. Realm 2 Pro has got a glimpse of the new rear camera setup. Here are two sensors. You will be able to see the rear fingerprint sensor and the LED flash modules in the video. There is a circular fingerprint sensor on the rear side, while the oval sensor has been given in Reality 2. In addition to the Glossy back version, Teaser Video also offers a glimpse of Real 2 Pro's matte back variant. The smartphone has a 3.5mm headphone jack, which has a place next to the USB port and loudspeaker grill. This time, new color variants are also expected to be brought. Realme 2 Pro is just a little away from the launch. But the company has not missed an opportunity to create an environment this time. The price of the new Reality handset has not been disclosed. But it will not be as affordable as the initial price of 8,990 rupees Realme 2.
" Download Techtox express Android App for the latest tech news, smartphone reviews SEO services, application, know about blogging latest job science and affiliate marketing ETC. " hello sir its a nice artical.i would like to make a blog like u can u plz help me .plz replay me as soon as possible.